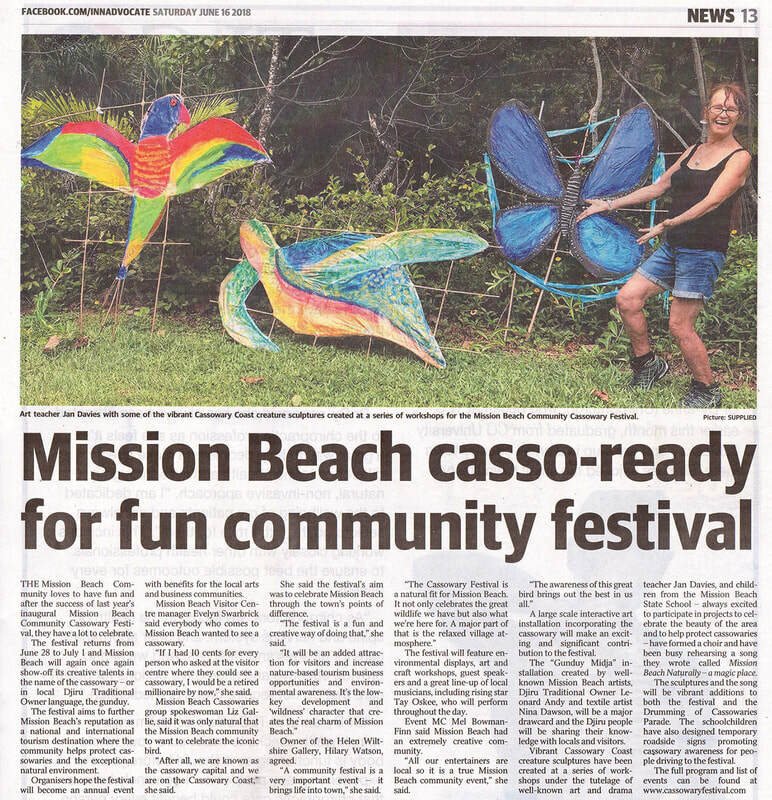 Congratulations to the Mission Beach Community Cassowary Festival organisers for their efforts to promote this beautiful part of Queensland through low-impact tourism and their vision for an ecologically sustainable future. I am sorry that I cannot be with you today. As Transport and Main Roads Minister, I’ve had the privilege of working with the community and advocacy groups on solutions to protect cassowaries and reduce vehicle strikes. 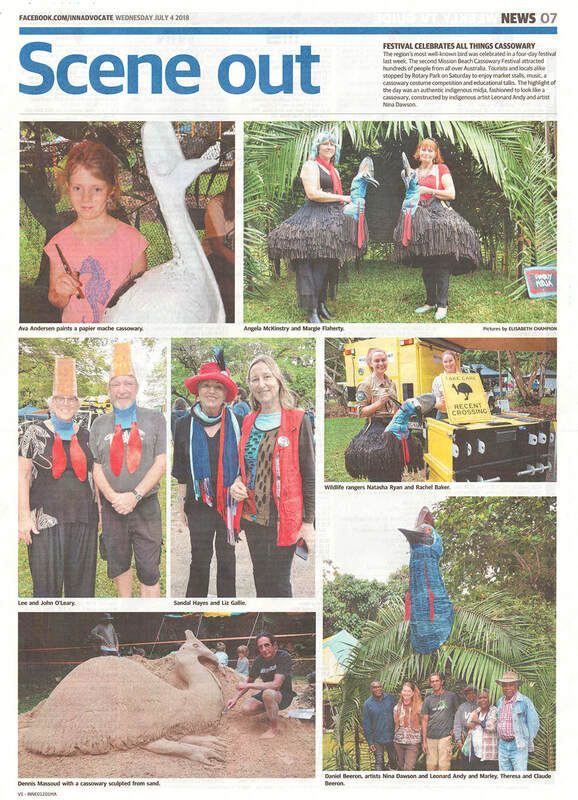 Your dedication to protecting and raising awareness of the local southern cassowary population is to be commended. 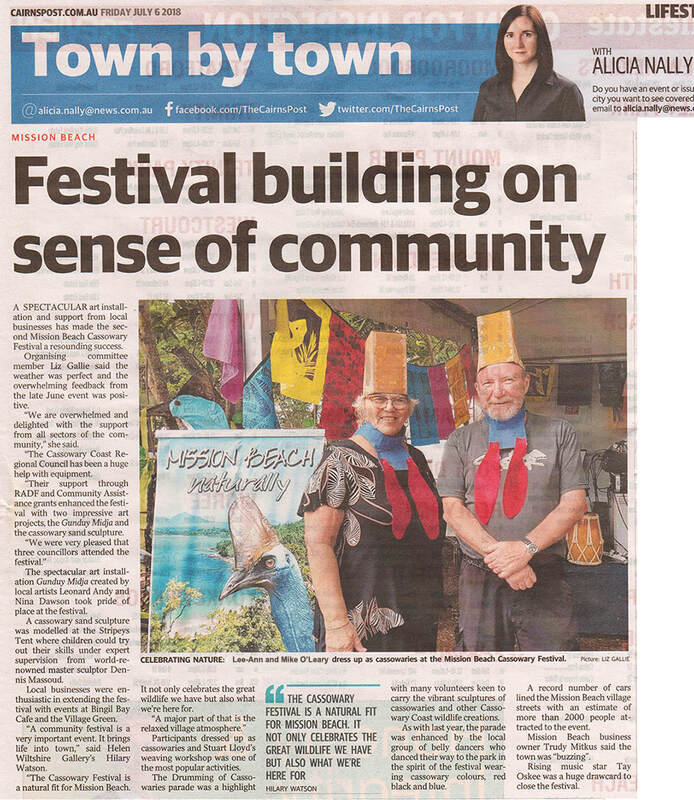 It is vitally important that we work together to protect this iconic bird. Bluetooth loggers to identify driver behaviour trends in the Cassowary Coast region. 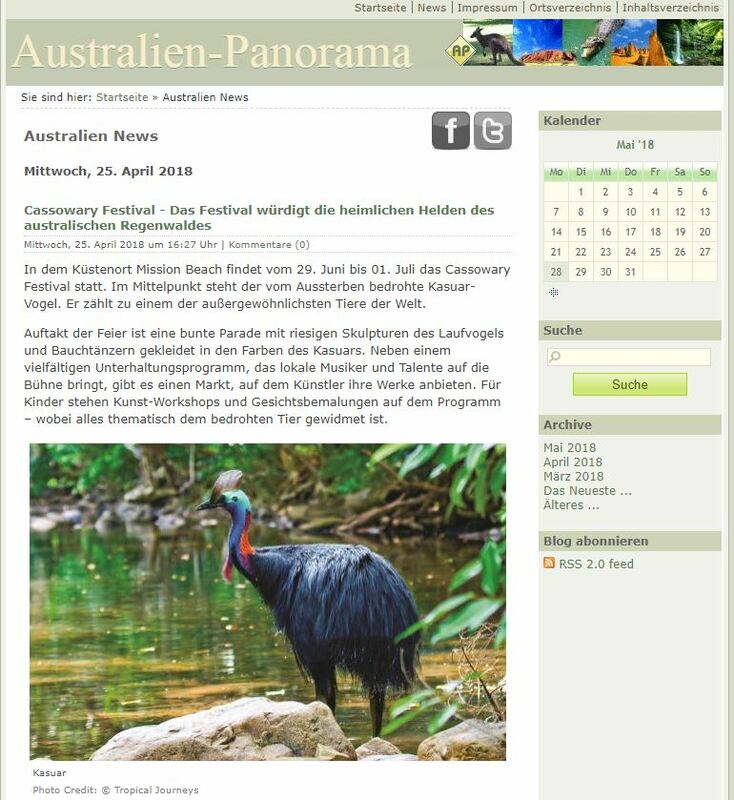 I can also confirm that we are considering the detail of Cassowary safety measures in planning for overtaking lanes in the identified Smiths Gap Cassowary Corridor on the Bruce Highway. 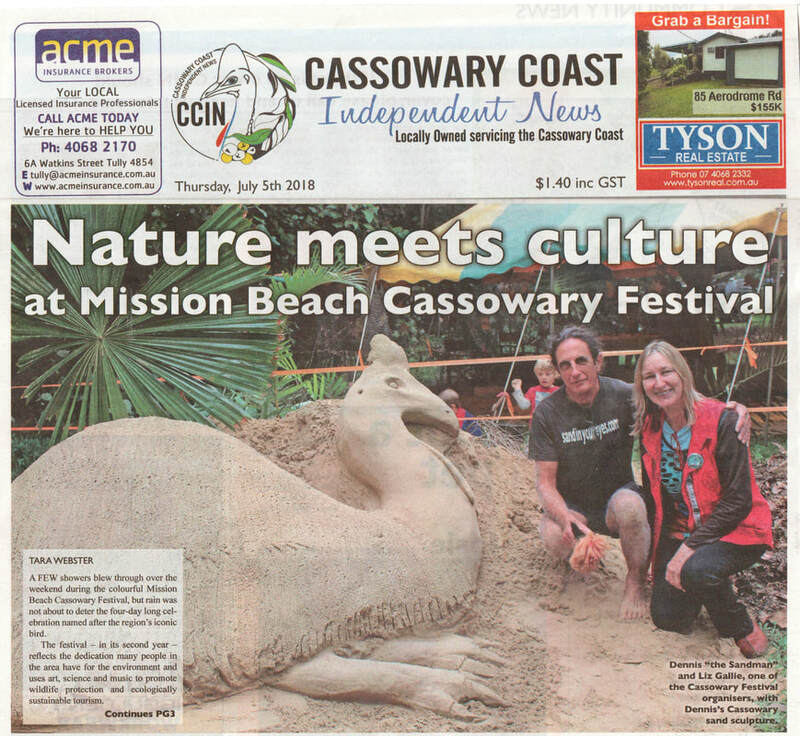 The Palaszczuk Government recognises the challenges facing the cassowary population and residents’ concerns. We all have a role to play and I urge motorists to do their part when driving through this area – slow down and be vigilant. 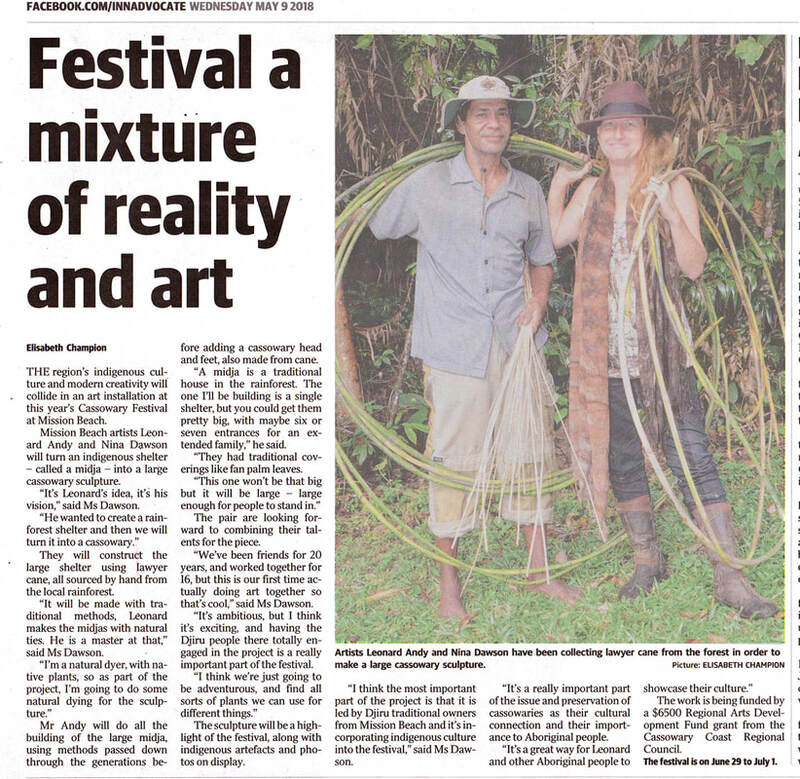 Thank you for all of the great work you do, and I hope you have a fantastic festival.
" It was such an amazing day! 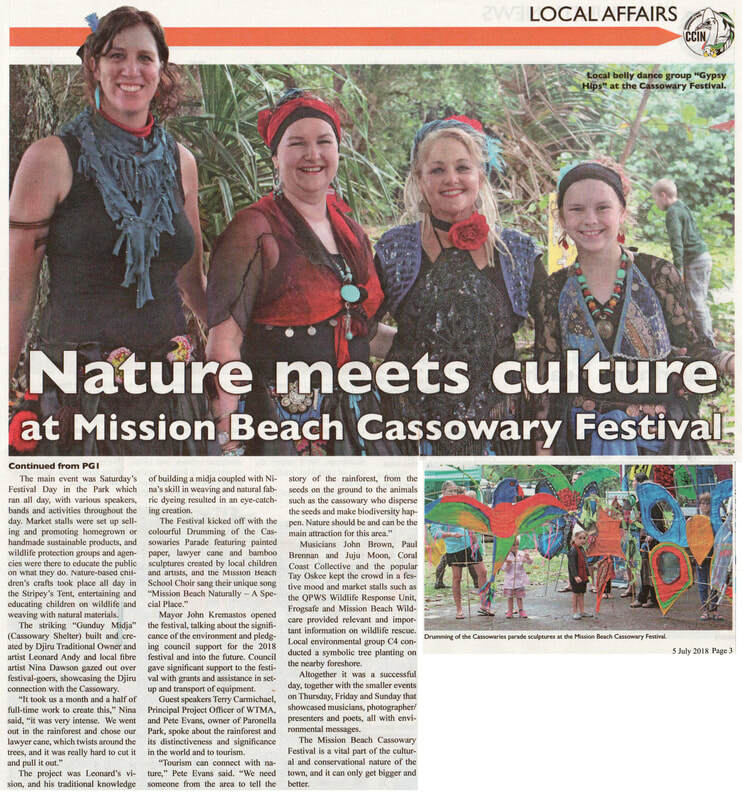 We had many visitors, our local talented muso's gave such great entertainment, people looked great in their costumes, kids had a blast, we got to raise awareness about our important natural environment, hooray team and Mission Beach!" 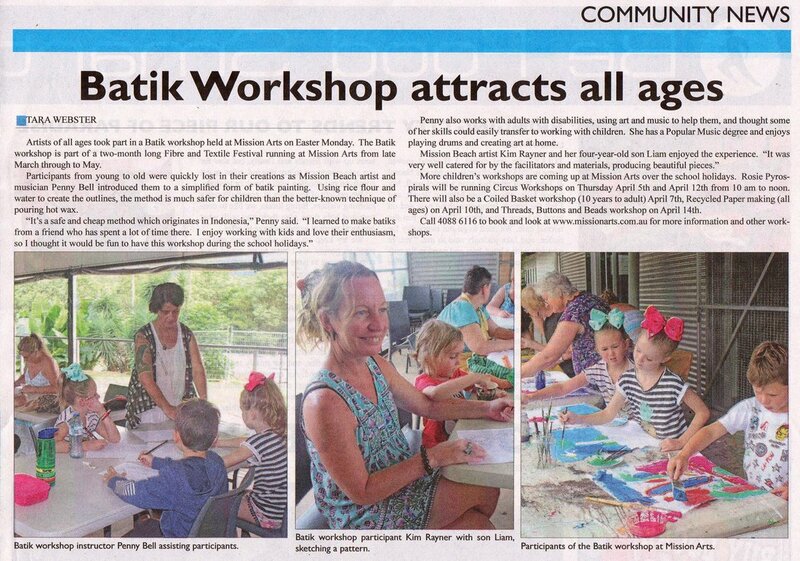 "Oh such artistic fun loving people we have in our area"
"The art work looks fabulous. It was a pleasure to be a part of it all. The girls and I really enjoyed it. 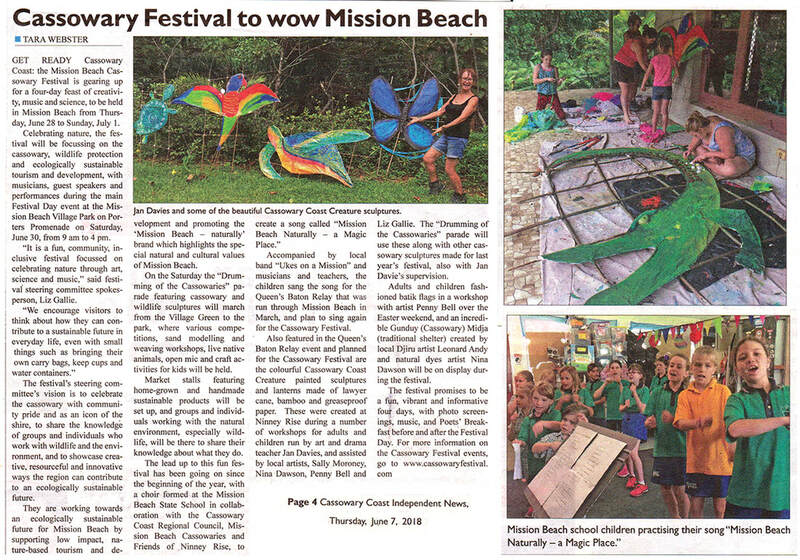 Sadly we had to move and weren't able to be there. Just wanted to say thank you for the experience and the chance to get creative  looked like a great day"
"Congratulations organising committee. Excellent day. 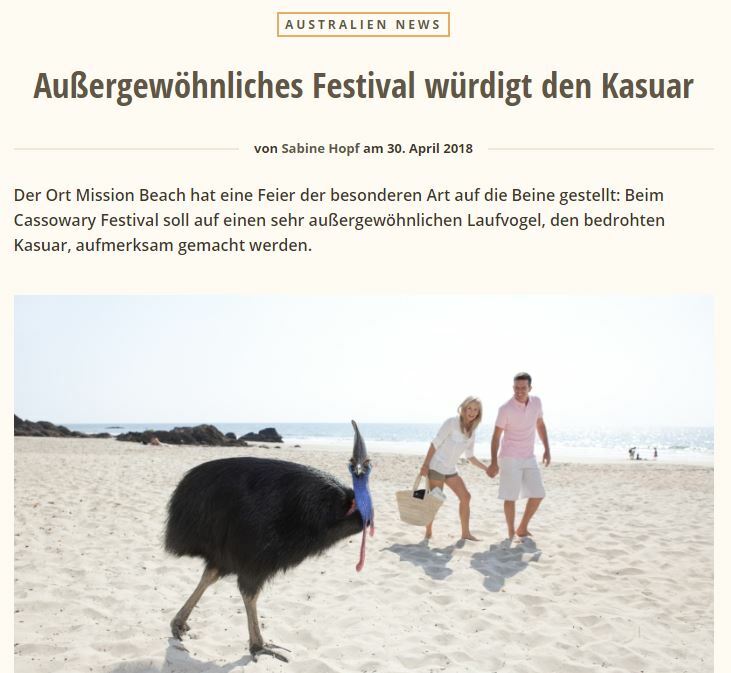 See you next year"
​Steve Madgwick goes cross country, tip diving – and just a little crazy – in pursuit of Mission Beach’s most elusive residents, the chimerical cassowary. Did he find one?